Thank you for all your great work! Your songs are the highlight of our programs. Thank you for producing such high quality, entertaining, and educational materials! Music K-8 is the most valuable resource I have for my choir classes. I have had a rough time with some other suppliers, and dealing with this company has been wonderful. ...Thanks again for making this easy. I am impressed with all you do and have been from the very beginning. I am continually amazed and pleased at the professionalism, courtesy, and caring service from all of you at Plank Road. One person is nicer than the next. Incredible. I can't tell you how many teachers I visit in the schools who "sing the praises" of Recorder Karate. A real great idea and motivator for the kids. Aren't the Plank Road people wonderful?!! ...Thanks, guys, for the outstanding customer service! I would just like to thank you for this wonderful product. My class just finished "production" this week, and the play was a complete hit with the students, the teacher, and the parents! ...Thanks very much. You can be sure I'll be shopping for next year's musical soon! THANK YOU!!! ...I really appreciate you and the staff. ...Thanks again for your help in making our 3rd and 4th grade recorder concert a success. You guys are awesome! I can't tell you how much I, and my students, get from your magazine and products. Your products are great - I'm passing the word to my fellow music teachers here in Northern Minnesota. Your company has been a pleasure to do business with. ...Sign me one very happy customer! YOU ALL are absolutely AWESOME!!! 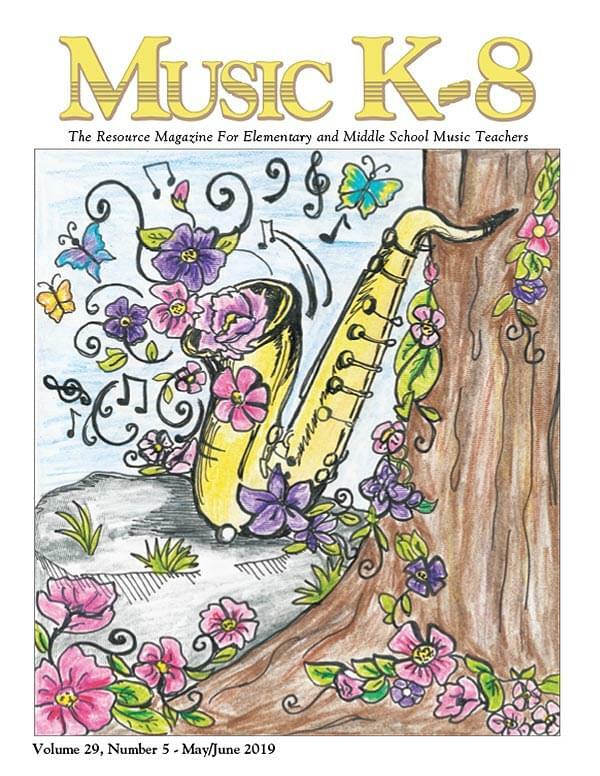 I have always been grateful for the musical support of Music K-8 magazine. Thanks to all of you at Plank Road Publishing! I don't know how I would have made it without Music K-8. THANKS!!!!! I don't know what I would do without the great resources from Music K-8! ... I have always loved my job - but, now with all these great resources my effectiveness is greater and planning is easier! Every age group, from the 4-year-olds to the 13-year-olds I have taught, has really enjoyed the magazines and the music recordings that are included. I have been teaching K-12 Vocal and Instrumental music for 16 years and have been 'addicted' to your magazine for the last 5 years. It is by far the most valuable music resource I have found in my teaching career. I have been a subscriber for several years and just can't imagine teaching music without your products.